It is the 11th game in the series of ResidentEvil, developed and published by Capcom. It will be released on Windows, PlayStation 4 and Xbox One. The PS4 has got the VR support. It is a single player game. 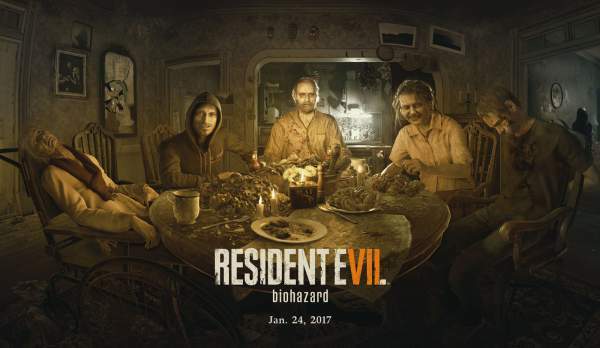 The full name of the game is Resident Evil7: Biohazard. RE7 will be releasing in Japan on 26th January 2017 and worldwide on 24th January 2017. The player will be playing as Ethan, a protagonist and can use weapons like pistols, shotguns, flamethrowers, explosives and chainsaw in the fight. ‘Biohazard’ will also contain puzzle solving, resource management, and healing herbs. The term Biohazard in the name describes the plot of the game. The first demo in the market is quite impressive. It is scary and has slow paced action. The developers have done a wonderful job. These are the common words from every person after playing the demo of the game. Instead of having a fixed range of the camera, RE7 has a head oriented camera. The camera can be toggled to the right or the left with the increments. About 15 to 30 degree of camera angle can be adjusted. Capcom words about it are -”It will be compatible with the PlayStation 4 Pro, allowing the immersive gameplay to be experienced in high-resolution, luxuriant 4K with vibrant visuals only HDR can deliver”. He, further added, “Similarly, with HDR support on the Xbox One S.” It means that RE7B is going to have a blast opening in the market and is going to have many fans. The game will be available to pre-orders at 50 pounds and will have the custom theme for the console. The special day survival is added is said to be priced at 53 pounds. This special edition is called the Deluxe edition which will have extra content from Survival edition on top of a game. A Japanese music band has given a song “Don’t be afraid” for it. Recently, the demo was released, and it recorded more than 3 million downloads. It will also come with Twilight update. Stay tuned. Will they be releasing a version for the Xbox 360/ PS3?